For most of the lgbt community, knowledge of Ballroom culture in America begins and ends with Jennie Livingston’s 1990 documentary Paris is Burning. While the film’s release was one of the defining moments of lgbt culture with its masterful (though not unproblematic) depiction of the genius and spectacle of Ballroom performers balanced with the reality of urban poverty, racism, and the AIDS epidemic they faced, its subject matter has largely been frozen in time as 80s nostalgia and aestheticized in the lgbt imaginary. The snarky quotes, over the top fashions, and Madonna’s appropriation of Voguing have stuck in lgbt culture, but the film’s messages about black lgbt life seem to have faded from memory. Although Marlon M. Bailey’s Butch Queens Up in Pumps is more than just an update on the last three decades of Ballroom culture, the mere fact that the lgbt community would need to be reminded that these same issues of racism, poverty, and public health remain as pressing today as they were 25 years ago is evidence for the importance of this book. It is not written as a companion or a correction to Paris is Burning, but as a fan of the film, I was struck by how the book reframed they way we view Ballroom culture. As a work of scholarship, Butch Queens Up in Pumps meticulously details how racism, poverty, homophobia and AIDS still challenge the black lgbt community and how Ballroom culture in Detroit provides a space of resistance, yet as a combination of ethnography and memoir, the book reads personally and emotionally in a way that few academic studies achieve. 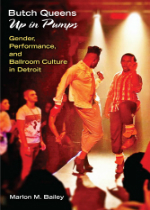 With Detroit as the center of his research, Bailey’s study of the Ballroom scene is balanced between personal accounts of his own immersion in the culture (his experience walking in Balls and working with local AIDS outreach programs) and his comprehensive ethnography of the practices, language, and kinship structures of Ballroom culture. Writing as a participant-observer, Bailey avoids the tedious language of the anthropologist who insists on watching from a distance at the expense of experiencing the heart and soul of the subject. 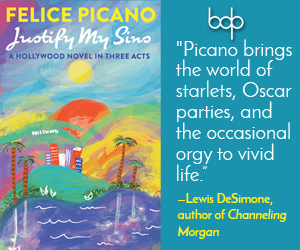 As a participant, his personal testimony and interviews with the House Mothers and their legendary children introduce the language of Ballroom in its full poetics. Then, as the observing academic, Bailey clearly defines and explains the intricate terminology of these practices and identities and contextualizes them within the landscape of black lgbt culture as a whole. In the first chapter, “Ain’t Nothing Like a Butch Queen,” Bailey describes the unique Ballroom population of Butch Queens, Femme Queens, Men/Trade, among others and explains the “gender system” in a fair evaluation of how Ballroom both subverts social expectations about gender and sexuality, but nonetheless still enforces certain culturally specific boundaries. 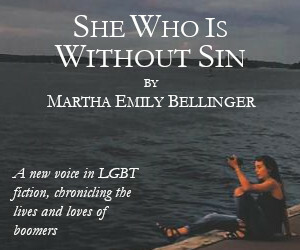 In addition to the glossary of terms, the book illuminates how Ballroom functions as a community by theorizing how the Houses that comprise the Ballroom scene create a form of family as they labor together through performance in what Bailey calls “housework.” In devising theoretical language that describes gender, sexuality, kinship, family, and community as a process of “doing” or labor instead of an innate “being,” Bailey’s vision of the Ballroom community forces us to reconsider what constitutes family and how we perform our membership within it. Even though Bailey delves deeply into how Ballroom culture in Detroit emerged in a particular response to the economic and socio-political conditions of a city that boomed with the Great Migration to the North and declined under deindustrialization and the Reaganomics of the 80s, the book’s specificity does not render it obscure or esoteric for the interests of a regional readership. Rather, Detroit can be seen as a microcosm of the similar problems faced by queers of color across the nation. Butch Queens Up in Pumps is about more than just Detroit Ballroom culture; it provides a thorough theorizing and portrayal of how people marginalized by a combination of sexual, racial, and economic class otherness build alternative communities and self-sustaining cultures in the margins.